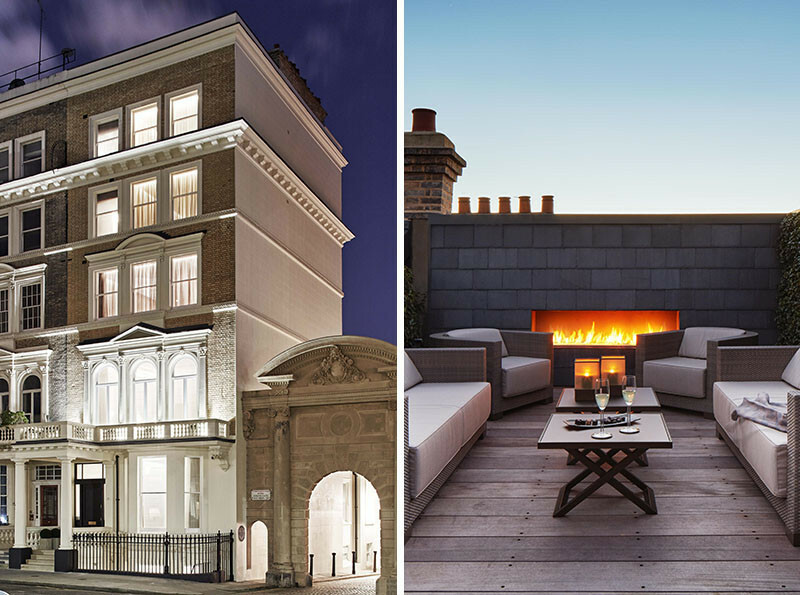 Located in the heart of South Kensington in London, is this Victorian terrace home that was originally built in the 1860s, but more recently has been given a complete contemporary renovation. Hidden on the rooftop, is this quiet oasis away from the hustle and bustle of London. 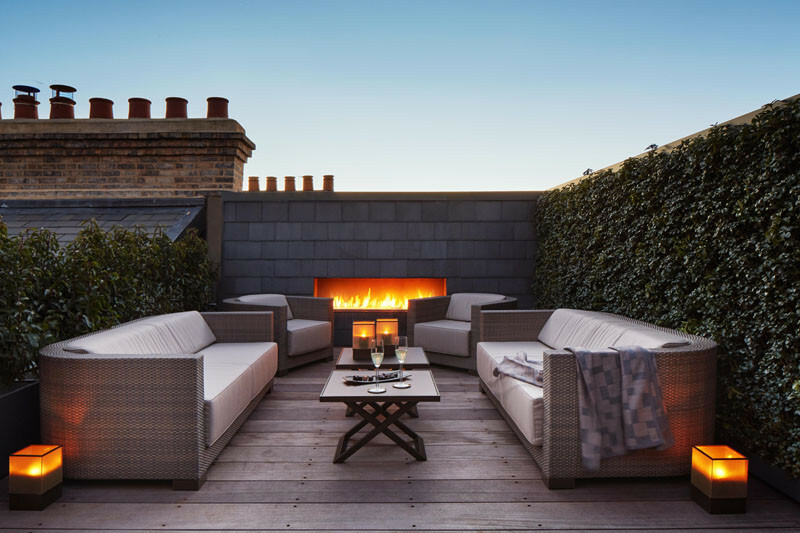 The rooftop space has solid mahogany decking, greenery, comfortable seating and a built-in fireplace, that all contribute to making the space feel cozy and private. By the way, the home is currently for sale, and you probably don’t want to know the price. Seriously….you don’t want to know. OK, fine. Go here to see how much it is, but don’t say we didn’t warn you.